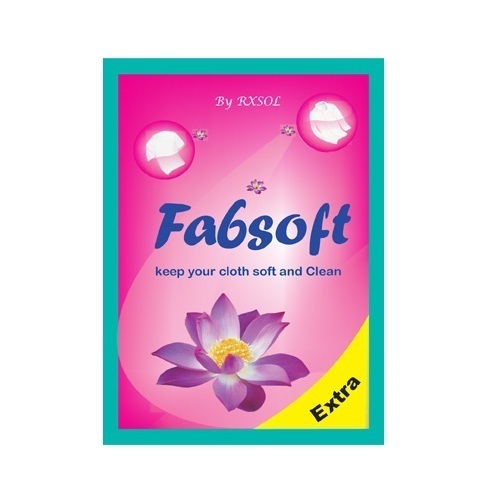 Levering on our vast industry experience, we are committed towards offering a wide gamut of Fabrics Laundry Softener Fabsoft. Helps to eliminate chafing, static cling & make iron easier, the offered laundry softener is provided in various grades & keeps your clothes fresh & wrinkle free. Moreover, our laundry softener can be availed by us within the given time at reasonable rates to our customers. Came into existence in the year 2006, Rx Marine International, is among the topmost manufacturers, suppliers, distributors and traders of a wide range of supreme quality Maintenance and Tank Cleaning Chemicals. The product range offered by us is inclusive of Maintenance Chemicals, Tank Cleaning Chemicals and Water Based Eco Chemicals. Appreciated among our customers for its features such as compositional accuracy, effectiveness, purity and enhanced shelf life, the offered range of maintenance and tank cleaning chemicals is processed from quality assured ingredients. Due to our rich infrastructural facility, we have been able to process unmatched quality maintenance and tank cleaning chemicals. To avoid any kind of damage while transportation, we offer these maintenance and tank cleaning chemicals with tamper proof packaging. Timely delivery coupled with multiple payment modes has helped us in winning the trust of our valuable customers in the most efficient manner. We have STRONG DISTRIBUTION network Maharastra, GUJARAT, Tamilnadu, West Bengal, Andhra Pradesh, UP , BIHAR and Middle East. Our strong stock point make us operational at TATA, RANCHI, SURAT, KANDLA, GANDHIDHAM, SIKKA, MUNDRA, HAZIRA, TUNA, KOLKATA, HALDIA, BUZ BUZ, PARADIP, VIZAG ( VISAKHAPATNAM ), CHENNAI, ENNORE, KOCHIN, TUTICORIN, GOA, MANGLORE, MUMBAI, DHARAMTAR, PIPAVA, NAVA SHEVA.